Barnstable High School has a large and diverse population. During an A.L.I.C.E. seminar, School Resources Officer Dennis Stampfl even compared the bustling hallways to that of a street in the city. With so many students and teachers, there’s one experience that connects the school as a whole: Challenge Day. Clark and several other staff members see Challenge Day as an important part of the school’s culture, as it has existed for over a decade. It’s “a prosocial workshop and training for students and staff at BHS,” he noted. As principal, Clark said he reviews all matters concerning a program’s beneficial effect on students and future generations to come. 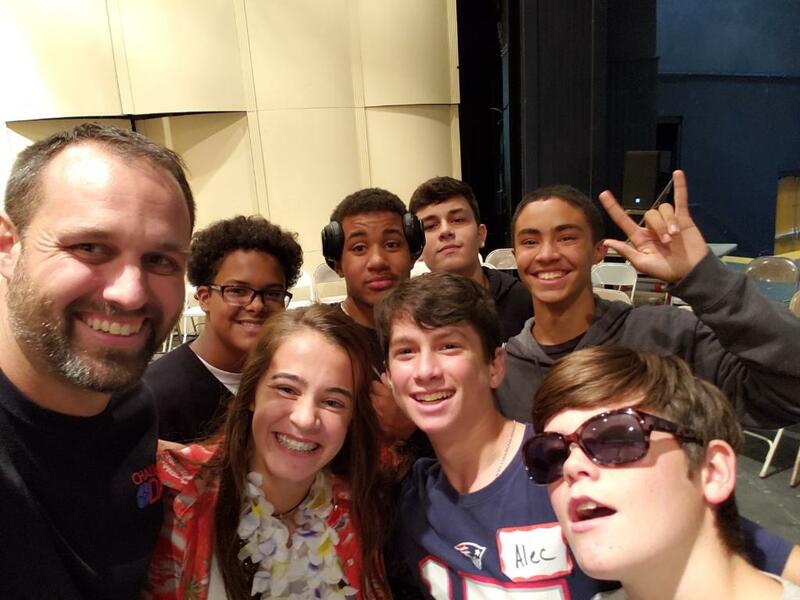 Challenge Day connects closely with the mission of the peer leadership group lead by teachers Swindler and Meghan Fligg. This extracurricular activity ties in with many of the key values of the program, and the BHS values of pride, respect and honor. If Challenge Day were being cancelled, this would put new pressure and responsibility on peer leaders to transfer these values of respect and empathy into the everyday life of Barnstable High School. However, this challenge could prove positive for the club as members would have to “step up a level and take on new responsibilities within Barnstable,” said Swindler. On Nov. 2, 2011 Swindler was named “Teacher of the Week” and one of her career high accomplishments are the seminars in which Challenge Day takes place. This year’s theme for teachers is “to teach the whole student,” said Swindler and SEI (Social & Emotional Instruction). But for her, it’s been the same compassion and communication she’s used with students not only through Challenge Day, but through her everyday teaching style as well. “You don’t teach at a public school because of the academics, you just don’t. You have to love working with the kids,” said Swindler. A stand out concept of Challenge Day is how “kids get to see each other for who they really are, usually through the cross the line activities,” said SEAD (Social Emotional Academic Development) Coach Tabatha Thomas. As an adult participant for about 4 to 5 years now, Thomas has seen and felt the impact that the seminar has on kids and even adults. Sometimes students are so greatly affected, that teachers and Thomas find it necessary to intervene and communicate with the student further. “There’s always one student who needs more support outside of Challenge Day,” she said. The Challenge Day seminars run all the way up to the last bell at 1:55 p.m, where students are dismissed for the day. Unfortunately, by the time students are recognized as needing the extra support and communication, they’ve usually already left school grounds. As an immediate result, outgoing calls to parents/ guardians are made to explain the concern for their student and their overall well-being. In addition to the well-being of students, the “confidentiality and respect after the fact,” said Clark, has become an issue that requires further inquiry into the evaluation of the seminar. This issue gradually grows due to advances in social media and instant messaging, which make words travel much faster, while simultaneously manipulating them. “You’re asking freshman students to maintain a level of confidentiality that, even for adults, is difficult to do,” said Thomas. According to Swindler and Thomas, Challenge Day has an expectation of vulnerability, but in a place where it can be safely said without controversy. Sophomores Kate Brewster, Emily Rogers and Vanessa Jones all enjoyed hearing about other people’s stories and backgrounds. The group found it interesting how they could open up to total strangers, and or peers, in a safe and controlled environment. However for some, comfort within the day-long seminar was never truly found. For freshman Alexi Varetimos, she said that it all made her feel “uncomfortable,” and she was “too forced to open up,” Challenge Day, despite its required vulnerability, has long made a footprint on the path that BHS has been on for over 13 years. 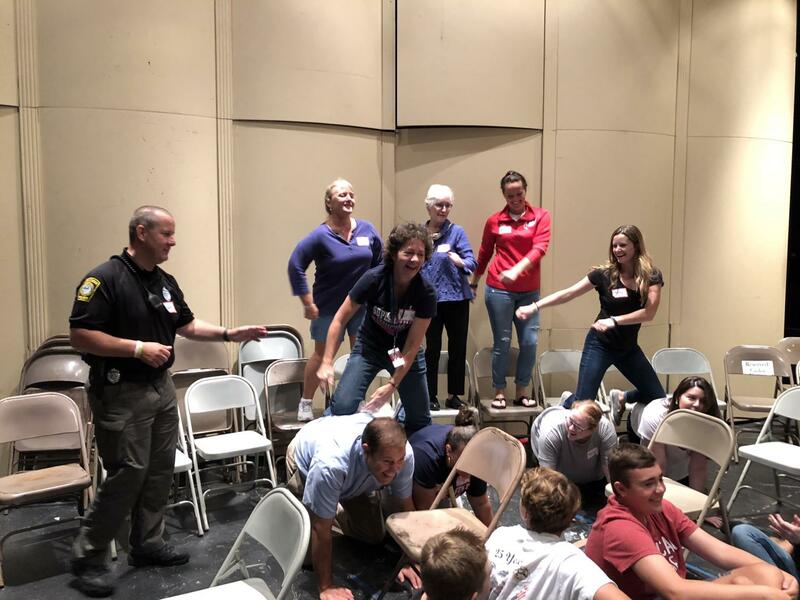 For staff member and coordinator Swindler, she’d love to see Challenge Day continue in following years and for a greater influx of the Barnstable community to join a seminar and see what BHS is really up to.